Bed bugs have become an epidemic, infesting homes, hotels, vehicles, restaurants, and other places where people congregate. More and more people are becoming aware of this problem, and more and more people call pest management companies with preconceptions and misinformation about bed bugs. What’s important to know is that that the best way to control and prevent a bed bug infestation is to learn the facts about them. Here are some common myths about bed bugs and the correct information to set them straight. Got Bed Bugs? Call a knowledgeable licensed professional at 1-800-323-PEST or contact us to request a FREE Quote, ask us a question or Schedule a Service! Myth: If you place your bed outside overnight in the winter, the cold will kill the bed bugs. Fact: Although they are not cold-tolerant, bed bugs can survive for days – even weeks – in sub-zero temperatures. You’d have to keep your bed outside for about a week or two, and the temperature must remain below freezing (32-degrees Fahrenheit) the entire time. Myth: Bed bugs only come out at night to feed. Fact: Bed bugs are primarily nocturnal, but that’s because we typically sleep at night. Bed bugs will adapt their behavior to match your sleeping patterns. If you’re up all night and sleep during the day, bed bugs will adapt and feed on you in the morning instead of at night. Myth: Bed bugs leave a huge welt where they bite. Fact: This is only half true. 40-50% of people react to bed bug bites. Among them, the reactions can vary. The bumps can be large and require ointment to alleviate the itching, and others can be small with hardly an urge to itch. Myth: Bed bugs can spread diseases. 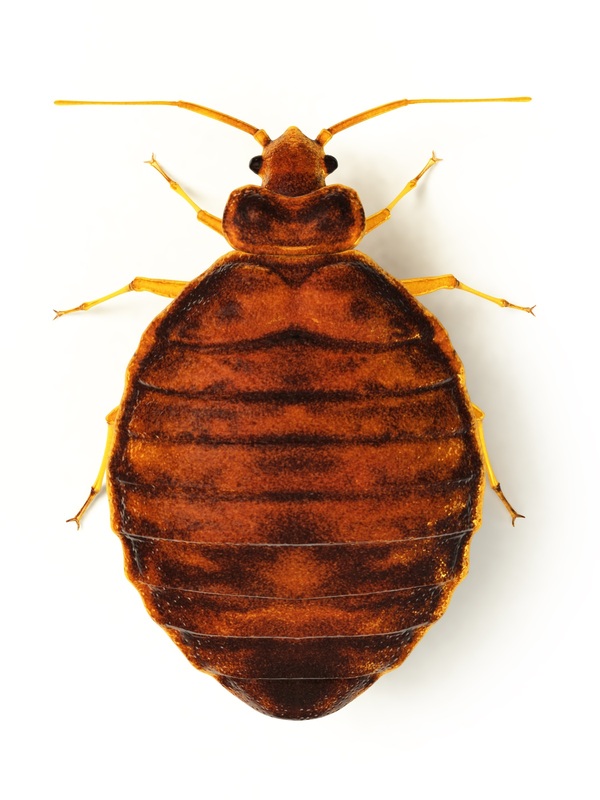 Fact: Bed bugs can carry human diseases such as plague, anthrax, and typhus. A lot of research has been done to see if bed bugs can transmit these diseases to their hosts, and, to date, there is NO evidence that they can. Even bed bugs fed blood containing HIV were incapable of transmitting the virus. Myth: A doctor can tell you if you have bed bugs based on your bites. Fact: No one can tell a bed bug bite from a spider or mosquito bite or a wasp sting. One clue to bed bug bites is their signature cluster of bites. Commonly, a single bed bug will feed at one spot, then move about an inch to feed, then move again and feed. Even then, that’s not a reliable way to determine whether your bites are from bed bugs. Myth: You can’t see bed bugs with the naked eye. Fact: You definitely can! Adult bed bugs are red to brown in color and the shape and size of an apple seed. The nymphs are much more difficult to see, especially early in their instar (their immature stages). Nymphs are light-brown and about the size of a pinhead. You could see them with a magnifying glass. Fact: Beds are common places to see bed bugs because we spend about 1/3rd of our day laying in them. Bed bugs will also infest living rooms, offices, dens, or other places where people rest, as well as buses, movie theaters, and restaurants. Bed bugs typically reside within a 5-foot radius from their host (you). In large infestations, they will spread out and can be found in nightstands, baseboards, electrical sockets, picture frames, and alarm clocks. Myth: Over-the-counter treatments will get rid of bed bugs. Fact: It’s unfortunate, but a lot of companies sell bed bug sprays that are ineffective. Bed bugs are fairly tolerant of pyrethroid-based ingredients like those found in many over-the-counter pesticides. These sprays will kill weak bed bugs, but not all of them. In fact, these sprays can make them more resistant over time if they continue to be used. 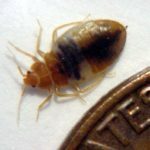 Some of these treatments – like bombs and foggers – can make an infestation worse by causing the bed bugs to move into neighboring rooms or apartments. Look at the active ingredients found on the label of the bottle for Deltamethrin, Prallethrin, or Gamma-Cyhalothrin. These are some active ingredients found in many store-bought bed bug sprays that are pyrethroid-based. Without the knowledge and experience of a pest management professional, treating a bed bug infestation on your own will be extremely difficult. Professionals know where they like to hide and the best methods of treating them. It’s best to hire a professional pest management company to treat your bed bugs before you spend money on DIY remedies and potentially make the situation worse. Every season brings a new threat from pests. Be prepared. Modern Pest Services offers a HomeCare Green Program for year-round pest protection, as well as Wildlife, Termite, Mosquito, Tick, and Bed Bug Control Services. Contact the professionals at Modern Pest Services for a FREE quote today! Or call 1-888-997-3312.